Biology is the study of life and living processes (what living things do). You will learn everything from DNA - the building blocks of life, to how entire populations of living things interact. Not to mention the secrets of your bodies! Photosynthesis - the chloroplast, light dependent reaction. Enzymes - induced fit, factors, digestive. 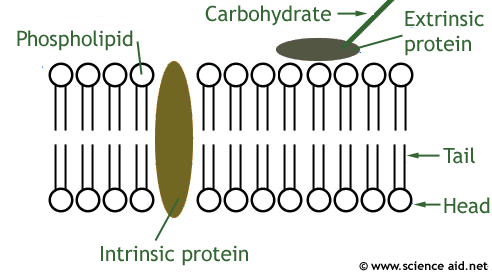 Proteins - amino acids, polypeptides, structures. Cell Cycle - interphase, mitosis, cell division, cytokinesis. Analysing Cells - Electron microscope, centrifugation. Osmosis - permeable membrane, water, turgidity. Human Influence - farming, pollution, eutrophication. Predation - Competition, predator-prey cycle. Studying Ecosystems - sampling, statistics, experiments. Genetic Engineering - sticky ends, plasmid, vector. DNA - nucleotides, bases, replication, polymerase chain. Protein Synthesis - transcription, translation, ribosome. The Kidneys - urea, ultrafiltration, loop of Henle, ADH. The Lungs - breathing, pleural cavity, alveolus, bronchus. Hormones - glands, oestrogen, tesosterone, adrenaline. Antibiotics - penicillin, tetracycline, bactericidal, resistance. Sewage Treatment - activated sludge, digesters. Viral Infection - structure, HIV, transmission, avoiding. Plant Growth - auxins, tropism, applications. Transpiration - The leaf, cuticle, stomata, factors. Translocation - root structure, mass-flow, evidence. Taxonomy is putting organisms into catagories; by kingdom, phylum, class, order, family, genus and species. There are five kingdoms. Speciation the creation of new species, this results from isolation. There are two types of variation between people: continuous and discontinuous, this variation can be caused by meiosis, the process of cell division in gametes. Steps include crossing over and bivalent formation. Microorganisms are used for industrial processes as diverse as manufacturing yogurt and penicillin. For many processes, it is necessary to isolate enzymes and immobilze them, by entrapment, binding or bonding. It is important to be able to identify various molecules from reducing sugars to proteins using various techniques. You can also use chromatography and use Rf values to identify any compounds. There has been some major rearranging of the Biology section, there is a singal tier of 7 catagories that should make more sense. Pages that have been moved or merged have got redirections so you know where to go for the content.